Televisions used to be so unusual, they were given “pride of place” in the living room. They were the center of attention. They were also a “commanding” piece of furniture – bulky and seriously heavy. It would have never occurred to anyone to mount a TV on the wall! 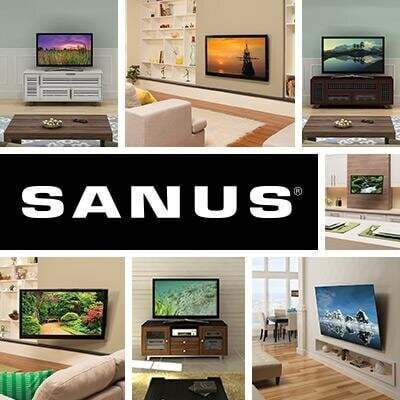 Fast-forward, and you have today’s slender, lightweight TVs that range in size from petite to enormous. 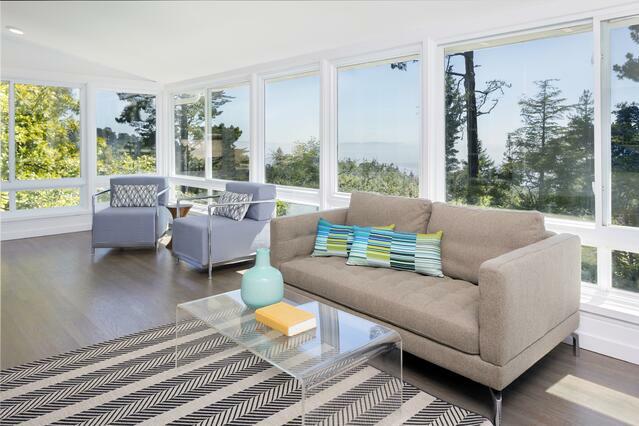 It’s easy – and popular – to mount a flatscreen on the wall. Most of us still have a TV in the living room, but what if you’re in some other room when you want to watch TV? Even if you’re not your family’s Head Chef, the kitchen is like a magnet, isn’t it? You use the counter to work on projects other than cooking, and you hang around during food prep, to pitch in or just “supervise.” But if the news is on, or the Big Game, you don’t want to miss that. Surprised you with this one, didn’t we? But think about it. 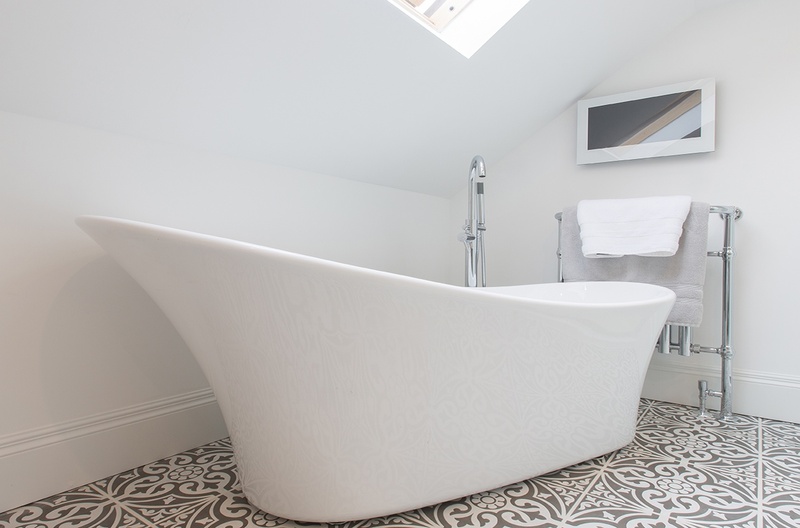 Sometimes a long, hot soak is just what you need. But it’s darn hard to read a book in the tub. On the other hand, a riveting video or movie would be perfect. Not a long, hot soak kind of person? Mounting a TV in the bathroom would let you catch up on early-morning news and entertainment while you’re performing your toilette. Does your house have a porch you can use for more than summer sitting and sipping? You can mount a TV on the wall and turn that porch into an outdoor movie theater. Hadn’t thought of that one, had you? But now that we mention it, you can immediately see the possibilities. Action flicks for neighborhood movie night. Nice. A romantic film for a cozy evening for two. Oh, yeah. 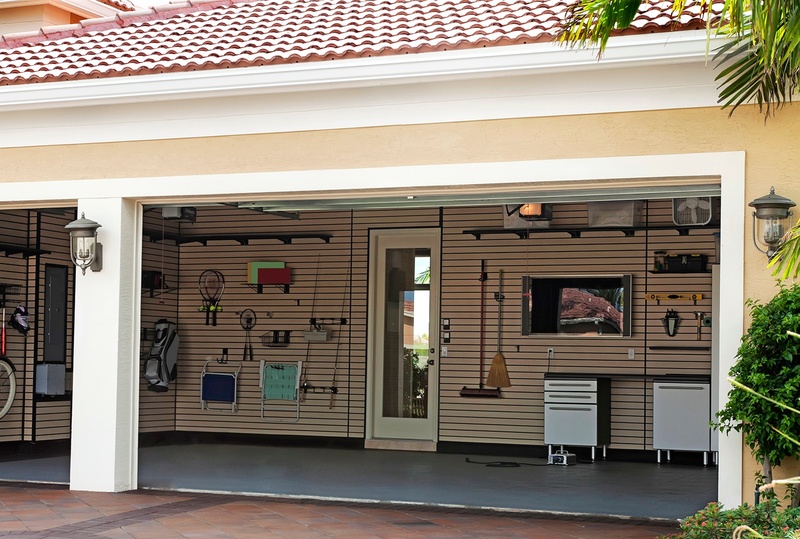 If you’re a DIY’er, the garage is your man cave. (Or, let’s be fair here, this could also be your lady shed) Woodworking, household fixer projects – whatever you’re working on, it’ll go better (and faster) if you don’t have to keep breaking away to check on the game or your favorite show. 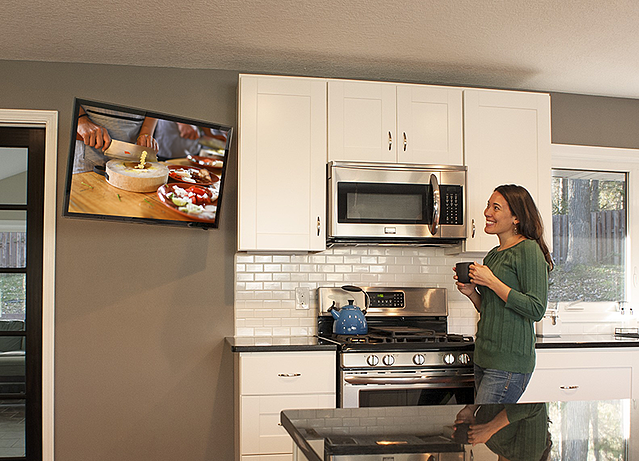 Mount a TV on the wall in your garage, and you can multi-task to your heart’s content. You aren’t just handy, you’re an efficiency expert. OK, so maybe your house doesn’t have a separate workout room, but most of us have a treadmill, Bowflex, or whatever. 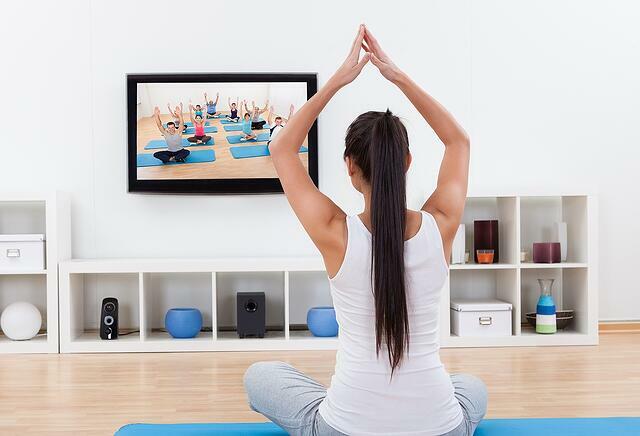 Gyms and health clubs mount TVs on the wall for a reason. Why not treat yourself as well at home? Did we miss a room? Where else could you mount a TV on the wall?